Nestora was arrested in August 2013 during an impressive combined operation by military, state and municipal forces. She was taken first to Acapulco, where she spent six hours incommunicado, then moved a thousand kilometers [622 miles] away, to a maximum security prison in Nayarit. Initially, they ordered ‘preventive prison’ [remanded to prison] thanks to two lawsuits of ordinary jurisdiction, charging her with ‘kidnappings’ for detentions carried out by the Community Police within the framework of her duties. As a result of protests that emerged, and given the injustice of keeping her with charges of state jurisdiction in a maximum security federal prison (which isolated her from family and legal defense), federal charges were initiated pertaining to organized crime in the form of kidnapping. The federal charges were based on the same facts as the original state charges. However, the woman remains imprisoned. After almost three months of red tape, since filing their request on March 18, 2014, three members of the Human Rights Commission of the Chamber of Deputies and three lawmakers from Guerrero visited Nestora on Wednesday, May 28, in Tepic Prison. At a press conference on Monday, June 2, the two deputies (members of the PRD Parliamentary Group) asked the National Human Rights Commission to take a stand on the case. 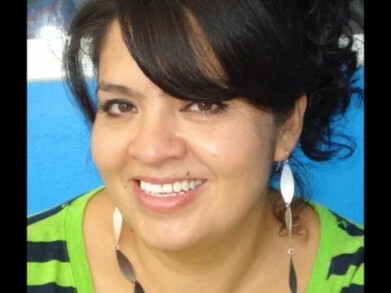 Given that the situation in which Nestora is being held is not adequate, they asked that she be transferred to Mexico City to participate in her legal process. 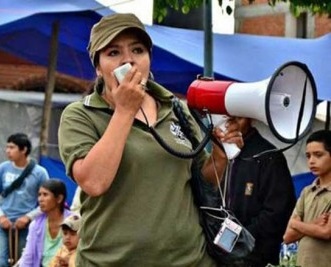 They demanded that the Secretariat of Government Relations [SEGOB] provide precautionary measures for Nestora’s family because when her daughter Saira was traveling by bus from Olinalá to meet with legislators, she escaped an apparent assassination attempt against her. In the bus in which she was riding, they gunned down a woman with similar physical characteristics, who lost her life. The risk and political persecution to which the family is being subjected is very worrisome. 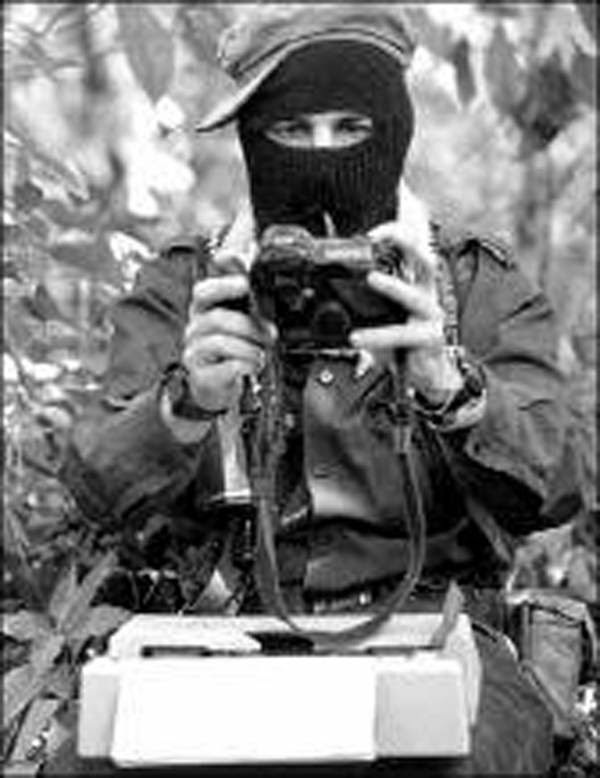 The Committee for the Liberation of Nestora has won the support of thousands of individuals and organizations (seefreenestora.org). The United Nations Working Group on Arbitrary Detentions and the Inter-American Commission on Human Rights are both monitoring the case. Nestora, who moved to the United States in 1991 at the age of twenty, also has U.S. citizenship. Of course, this was not worth much when she was arrested, or when they wouldn’t even allow her to make a call to the U.S. Consulate. Congressman Smith joined those who advocate for Nestora’s release, since she is a U.S. citizen who resides in Smith’s electoral district. The Seattle Times headlined the news of Congressman Smith’s press conference as the pressure mounts to free the Renton [Washington] woman imprisoned in Mexico …. Review of the case is imperative, not only for the absence of due process, but for the damage to her health. The deputies already reported that she has even been denied potable water, forcing her to drink from the tap when the other prisoners are given a jug [of purified water]. In addition, the absence of medical treatment and keeping her in total isolation means psychological torture. What is the Attorney General waiting for to take action on the matter? *Marta Lamas Encabo (Mexico City, 1947) is a Mexican anthropologist and feminist. She studied ethnology at the National School of Anthropology and History and obtained an MA in Anthropology from the National Autonomous University of Mexico. She has been a member of editorial boards of UNAM and the Economic Culture Fund, a founding member of La Jornada and founder of the magazine “fem”, the first feminist magazine in Mexico, director of the magazine “Feminist Debate” and a columnist for Proceso magazine and the Spanish newspaper El Pais. In 1992, she founded the Information Group on Reproductive Choice (GIRE), to promote sexual and reproductive rights. In 2000 she founded the Simone de Beauvoir Leadership Institute to train women in a gender perspective.